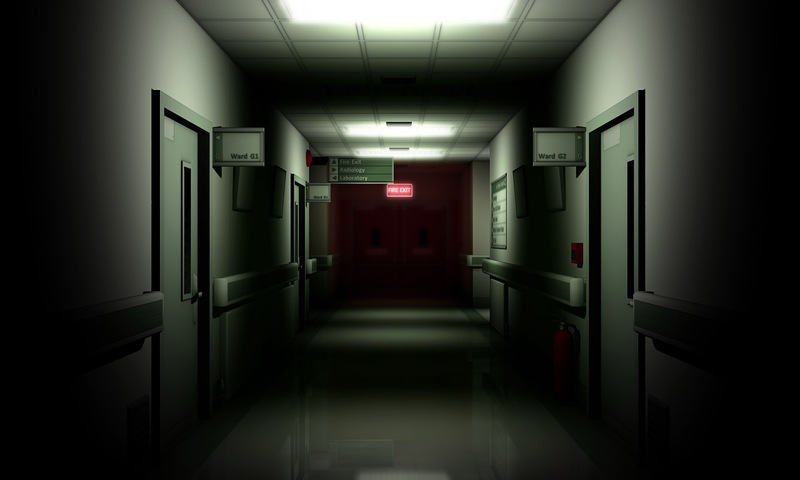 People often comment on how spooky hospitals can be at night. It’s true. They can be extremely disconcerting, especially when you are ever so slightly attuned to seeing through the veil. I was in hospital in May and December 2014. Both times I experienced seeing spirits and one other entity. I’ll start with the spirits, as they are less unnerving. On 28th May 2014, I had my 2nd kidney transplant. I awoke from the anaesthetic feeling obviously very woozy, and drugged up to the eyeballs on morphine. Not, incidentally, classed as a hallucinogen. However, when your consciousness is neither here nor there you are in…the twilight zone! I was being propped up in bed by two nurses, and just before I reached full awareness, a young man passed by my bed. He had fair hair, possibly strawberry blonde. In that light, it was difficult to tell. He had a rucksack on his back, and was around 15 years old, give or take a year. He didn’t even realise I’d seen him, but he seemed to look in my direction as he passed the bed going towards the door. Then, I was fully conscious and couldn’t see him. At some point later, a smoky mist passed by the bottom of my bed. Another spirit who visited me was a family friend who had died the year before. It was her second visit to me. The first time was in a dream. At that point, she was annoyed as she still had so much to give to others. However, when she visited me in hospital, she seemed much happier, and it looked to me like she had been given a task to do. She told me it had all been sorted anyway, and all was fine. At the start of December, I was admitted back into hospital. This time with septicemia. I was given a private room. The room next to the room I had been in before. The first room was at a slight angle to the left of my door, which was sometimes open. After a couple of days, an old lady was admitted to the room next to me. Things were not looking good for her, and the family were very upset. They took turns to be with her during the night. So slowly. It was creeping in towards the room. I was sure it was there for the old woman. I know people have their set time on this Earth, but just because someone is old, that’s no reason not to try to save them. I felt utter horror that I seemed to be witnessing some kind of dark energy after a vulnerable elderly person. If I could do something, anything, then I had to do it. There was only one thing I could think to do, one thing that has never let me down. The most reliable forces I could think of. I closed my eyes and called upon the archangels. I called upon Archangel Michael to protect the old woman and fight off whatever was coming to get her. I called upon Archangel Raphael, angel of healing, to help her get better and stronger. And when I was sure they were there, I demanded that the dark shadow retreat and leave her alone, that she was under angelic protection. I looked. The shadow seemed to be retreating. Then I couldn’t see it any longer. The next day, it seemed the old lady had a miraculous recovery. She was so much better that she was able to be moved into a ward with others. I make no assumptions. I can only tell you the facts as I witnessed them. I asked a nurse if she, or any of her colleagues, had ever experienced anything strange in the ward. She pointed to the door, from left to right, and said “There’s something out there. I’m convinced of it.” She said that sometimes she had seen something passing out of the corner of her eye. When she found out how interested I am in the subject, she exclaimed: “You would have loved it in here last week!” She proceeded to tell me about the ward to the right of my room. An old man had been lying in bed one night, and the nurses were startled by his screaming. They ran to his aid, and he shouted that he was being pulled out the bed by his feet. They gave him a cup of tea, and tried to calm him down. I bit my tongue and refrained from pointing out the caffeine wouldn’t have helped his nerves much, or helped him to sleep – I have to remember to sometimes take off my hypnotherapist hat… Besides, this was more important. Later on a nurse went into the ward to check on him. She was putting something into a cupboard in the room, when an invisible hand grasped her forearm. I’m pretty sure you wouldn’t have seen her for dust, as she ran to tell her colleagues that another strange event had taken place. So, that was my experience of the Western Infirmary in Glasgow. It’s difficult to set up investigations in such places, but it seems like I was in the right place at the right time so was able to do an impromptu investigation alone, and stumbled upon a dark entity that seems to have a penchant for attacking vulnerable elderly people. Funnily enough, in May I had taken my camera and recording equipment, as my intention had been to sneak to the operating theatre that is supposed to be haunted. I wasn’t well or strong enough to really get away with wandering about in the middle of the night. But it was okay. The ghosts and other beings paid me a visit instead. Sometimes you don’t have to go looking. It finds you.